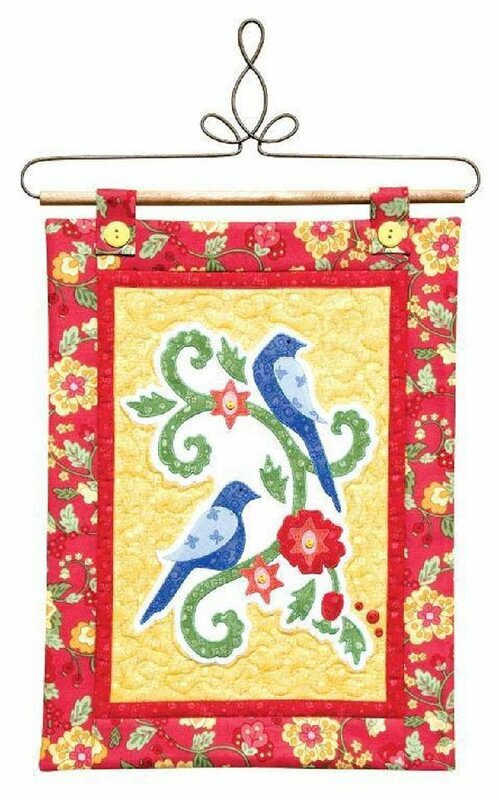 Aviary contains the directions to make a quilt, wall art, and pillow. There are 9 different beautiful bird designs supplied in the pattern. You will use all 9 in the quilt and then can choose which ones you would like for a pillow or wall art. Starting thinking of spring and summer with this gorgeous garden theme of flowers and birds. FINISHED MEASUREMENTS Quilt: 70" x 70" Wall Art: 12" x 16" Pillow: 18" x 18"